We investigate how abduction and induction can be integrated into a common learning framework through the notion of Abductive Concept Learning (ACL). 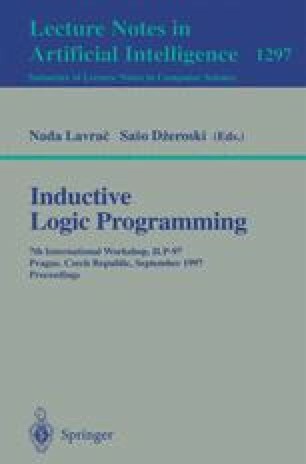 ACL is an extension of Inductive Logic Programming (ILP) to the case in which both the background and the target theory are abductive logic programs and where an abductive notion of entailment is used as the coverage relation. In this framework, it is then possible to learn with incomplete information about the examples by exploiting the hypothetical reasoning of abduction. The paper presents the basic framework of ACL with its main characteristics. An algorithm for an intermediate version of ACL is developed by suitably extending the top-down ILP method and integrating this with an abductive proof procedure for Abductive Logic Programming (ALP). A prototype system has been developed and applied to learning problems with incomplete information.